Vaida is responsible for the website development and content management, social media communication, as well as publishing policy briefs, working papers and articles for European Journal of Spatial Development. Once using Street View, a thought crossed my mind that we start our spatial journeys like the orange Google man being dropped on a random place in the world map. Sometimes we even might continue the journey like him. My starting point was at a small Lithuanian town called Sasnava. From the first glance, it‘s just a regular small town – the main street is 3km length, around 550 people are living in houses, there is a gothic red-brick church, a school, couple of small privately owned shops, a library and a river. If I was born in Sasnava in the 19th Century, I would have met book smugglers who were secretly distributing Lithuanian books during the press ban. And if I was born at the beginning of the 20th Century, I might have been cheering for my relative who was participating in the Summer Olympics in the Netherlands. Nowadays the town is well known for its aerodrome that gathers aviation sports fans. During the first decade of my life, the family house was facing endless fields sometimes visited by agricultural machinery or parachuters who were accidentally blown away from the aerodrome. Nowadays, the house is situated right by the middle of Via Baltica E67 connecting Helsinki and Prague. An expanding infrastructure knocked on the doors and since then, I barely remember a weekend without a destination. When I turned 16, I found myself roaming around the streets of Bergisch Gladbach and Cologne with my host family and exchange school friends. Taking an advantage of the age in Germany didn’t last too long as I had to come back to finish gymnasium. My next destination was Klaipeda – a port city in western Lithuania. I got enrolled in Journalism studies which opened doors to another exchange experience. The initial plan was to travel to Gotland, however, I ended up in Volda – a small Norwegian town, surrounded by mountains and fjords. 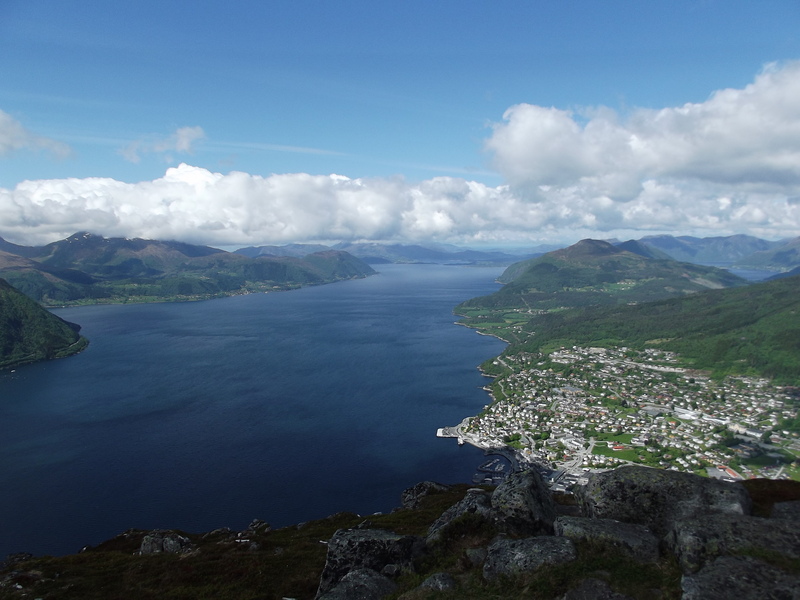 Inhabited by 8000 locals and 10 000 international students, Volda was never a quiet and boring place, especially when it gathered musicians, animators, journalists & friluftsliv lovers in one place. I continued my journey back in Lithuania, this time in Vilnius, where I joined Lithuanian National Radio newsroom. Here, my experiments with time took place. For example, what could you do in 45 seconds? You could fill your cup of cappuccino from the coffee machine, you could read one news item, you could change the batteries of the audio recorder, oooorrr you can run three floors up, import the recording to the computer, enter the studio & start telling the story of a day. Eventually, the hunger for new experience & knowledge was growing bigger and bigger. Therefore, I decided to stop testing the compactness of time and instead dive into the depth of topics such as Media & Politics, Human rights, Social welfare system and others. And here I am for more than three years now, first attracted by the opportunity to do Master studies in Media and Communication at Stockholm University, then to join a wonderful Nordregio family and to explore the Nordic region, as well as to develop myself in the research communication field.